Who Is Fela Durotoye, Nigeria's Presidential Aspirant? Fela DUROTOYE is considered one of Nigeria’s leading strategists and business consultants with expertise in Culture Transformation, Service Leadership, Workforce Activation & Facilitating Strategic Retreats. His clients in the Banking & Finance sectors include Access Bank, GTBank, First Bank, Zenith Bank, First City Monument Bank, Diamond Bank, Fidelity Bank, United Bank for Africa, Skye Bank, Stanbic IBTC Bank and Standard Chartered Bank, ARM Pensions, Vetiva Asset & Management Ltd and Cordros Capital. Fela currently mentors over 15,000 leaders in business, enterprise, education, religion and the professional services sectors on the platform of The Fela Durotoye Leadership Network. Fela holds a Bachelors degree (B.Sc.) in Computer Science & Economics along with a Masters degree in Business Administration (MBA) from the prestigious Obafemi Awolowo University, Ile-Ife where he wrote his MBA thesis on The Management of Change in Complex Organisations. He is also an Alumnus of Kennedy School of Government Executive Education program of the prestigious Harvard University, Boston (Massachusetts). He has completed the High Impact Leadership for a Better Society program at the prestigious Yale University, New Haven (Connecticut). Fela also attended the Future Candidate program at The Leadership Institute, Arlington (Virginia) all in the United States of America in addition to being a certified leadership coach of the John Maxwell Team. Fela, in his firm belief that effective law enforcement will play a vital role in our social stability and national development, signed up for and completed the Supernumerary Police training program at the Nigerian Police Training School, Ikeja and received the Distinguished Student Award at his graduation and passing out parade. Fela Durotoye is a guest lecturer on ETHICAL LEADERSHIP at the prestigious STANFORD UNIVERSITY| Seed Program to CEO’s of businesses with operations across the African continent. He is currently the chairman of the boards of Directors of some of Nigeria’s leading companies HOMEBASE MORTGAGE BANK LIMITED, I-ASPIRE MEDIA and and ORBRA ICT. 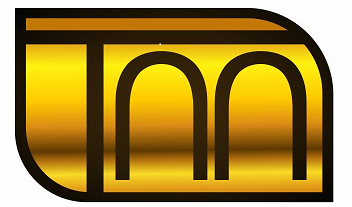 Fela is on the advisory board of Nigeria Canada Forum (NCF) based in Regina Canada. Fela Durotoye has been at the forefront of the movement to build a New Nigeria for over a decade. He is renowned for history making on the national or global stage. Over the past decade, he has built a track record of National Transformation projects, many of which are so bold and audacious; near impossible tasks. Notable among the too many to mention transformation projects which Fela has championed is the largest urban renewal project in Nigeria’s history known as MUSHIN MAKEOVER where Fela mobilized over 2,000 volunteers to paint 296 houses across 7 streets of the Mushin suburb of Lagos, AT NO CHARGE to the owners and resident of the buildings. On the 24th of November 2012, FD organized the epoch making GEMSTONE GLOBAL READING FESTIVAL where over 12,000 students spread across 18 state capitals in Nigeria as well as in 9 countries across Africa, Europe and the USA all read out aloud in their various locations selected sections of Fela's book 17 SECRETS OF HIGH FLYING STUDENTS (17 SECRETS) at the exact same moment in time at the same time across several time zones. This was the first-ever simultaneous global reading of a book in 17 cities in Nigeria and 17 countries across the world at the same moment in time (via live streaming). The reading was done simultaneously, taking into account, the different time zones of each reading centre. During this project, Fela Durotoye donated 17,000 copies of the 17 SECRETS to students from Public schools, many of whom could not afford it all across the nation with the aim o f enhancing the reading culture. Also in November 2012, Fela broke the world record for "autographing the largest number of books by one author" when he autographed non-stop 10,000 copies of his book in one-seating over a period of 8 hours and 43 minutes. The aim is to leave its trail in academic excellence by encouraging the academic and non-academic staff of schools to improve the standard of communication and process of knowledge transfer to create a more conducive learning environment. The GEMSTONE Network actively engages transformational leaders at all levels of the society; through the GEMSTONE Leadership Clubs in over 300 primary and secondary schools as well as GEMSTONE Leaders Connect Network on more than 70 campuses in tertiary institutions across Nigeria. The GEMSTONE Leadership Corp network activates recent graduates on the National Youth Service Corp program to engage is community transformation projects across 30 states of the nation. Perhaps Fela’s most significant contribution to Nation Building is the VALUE SYSTEM which he developed and is currently endorsed and actively promoted by over 30,000 Nigerians across all gender, tribe, social class or religious affirmation. MAKE A POSITIVE IMPACT on everyone you meet and everywhere you go. BE A ROLE MODEL worthy of emulation. BE YOUR BEST IN ALL YOU DO particularly the things you are naturally good at. DO THE RIGHT THING AT ALL TIMES regardless of who is doing the wrong thing. VALUE TIME and make the best use of it. CARE & SHOW RESPECT TO ALL through your words and actions. CONSCIOUSLY BUILD A GREAT LEGACY starting now, today and everyday. LIVE A LIFE OF INTEGRITY AND HONOR. MAKE YOUR FAMILY, NATION AND GOD PROUD. The 10 Values have been adopted by individuals and organizations. They have also been adopted by professional associations such as Association of Private Educators of Nigeria, the Nigerian Institute of Mechanical Engineers and the Mortgage Bankers Association of Nigeria to mention a few and more recently government agencies and parastatals. FD, as he is fondly called by his friends and protégés, has emerged as a credible voice of leadership for a new Nigeria across the wide spectrum of the young and old as well as business and political leaders. His fan base on Facebook currently about 285,000 and he is followed by about 205,000 on Twitter and 123,000 on Instagram. Fela has won several National and International awards for his leadership development and nation building activities including the prestigious Nigerian Achievers Award in 2009. In recognition of his contributions to the field of Human Resource Consulting, Fela was honoured with the “Excellence in Human Resource Consulting Award” by NIPRO, a body of Nigerian Professionals based in the United Kingdom and the United States of America, at their global convention in Miami, Florida in December 2004. In July 2005, he was awarded the most prestigious Award of Excellence, by the Chartered Institute of Personnel Management of Nigeria (CIPMN), in recognition of his excellence and professionalism in extending knowledge frontiers in Human Resource Management. Others awards include Nigerian Achievers Award Institute (NAAI), Fly Network Africa Integrity Award, City People Young Male Achievers Award and the prestigious Role Model Award given by the Independent Corrupt Practices Commission (ICPC). 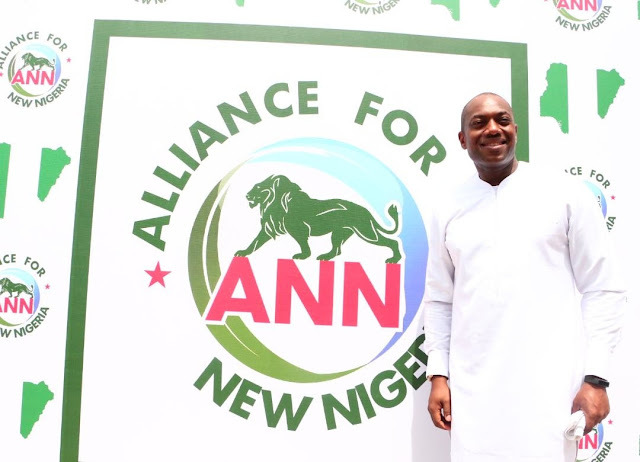 Most recently, in February 2018, Fela Durotoye announced his aspiration to contest as a Presidential Candidate in the 2019 General Elections on the platform of the Alliance For New Nigeria (ANN) party. Fela is married to Tara, a renowned beauty entrepreneur and Chief Executive Officer of the House of Tara and together they have 3 sons: Mobolurin, Demilade & Morolaoluwa who think their dad is a SUPER HERO!.